The process of property listing is not an easy task. You have to set the price, upload images, set the location on google map, add the floorplan, and so on. How to accept the offer and other tasks might be an additional consideration that ruins your head. Now, forget all of the burden because kensington will help you to do those tasks intuitively. 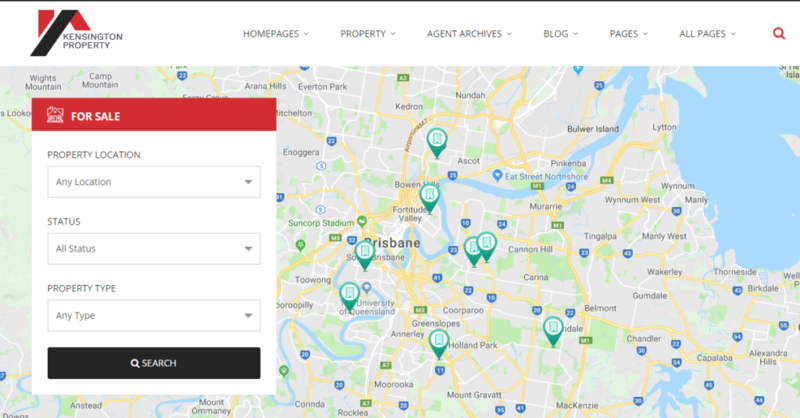 Listing a new property is now so easy. All field has been provided and all you have to do is just filling that with a proper information. 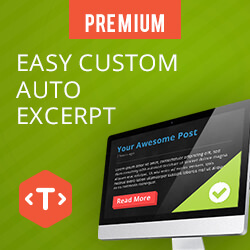 After hitting the publish button, your property is live and ready to be found by your customers. Then, after your property has been sold you just need to set the status to be sold. Kensington has many search field to guarantee the accuracy of user search. It has 12 different search field to be used. If you don’t want to use all of that, you can choose what search field to be displayed to the visitors. 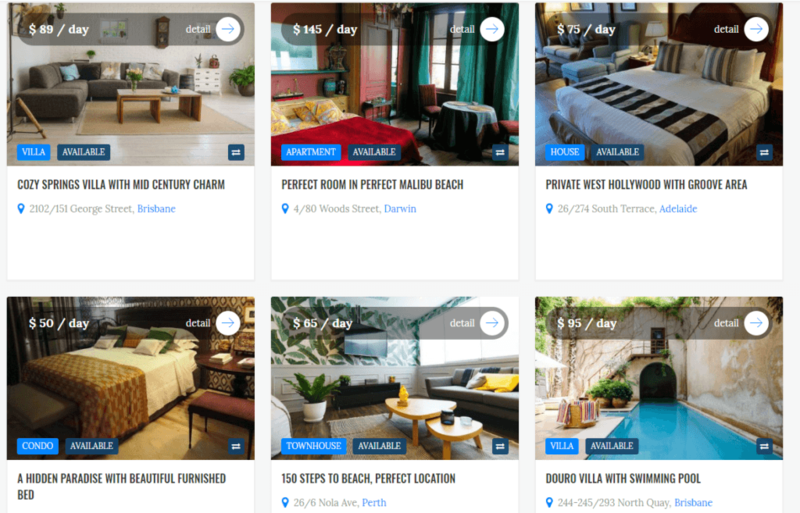 Make it easier for your user when searching in your listing. By using google maps, the chance of your listing founded by visitor is greater. The greater chance means the greater possibility of your listing to be sold. At least, there are 3 pages that you can insert into google map. 1. Homepage. Sticking google map to the homepage will make your website gain more trust and look more professional. 2. Single page. The address of your listing in every single property will be shown on the google map. It will help your visitor find your property’s location. 3. Search result page. When users are searching the properties, they will see the result in a map result format. This will help visitors to find the exact location of properties they are interested in. Kensington is powered with online payment feature. Not every real estate theme out there have this kind of feature. 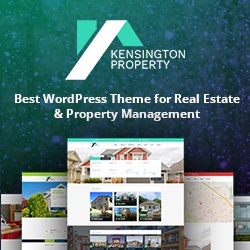 By using Kensington, you can accept payment through your website. 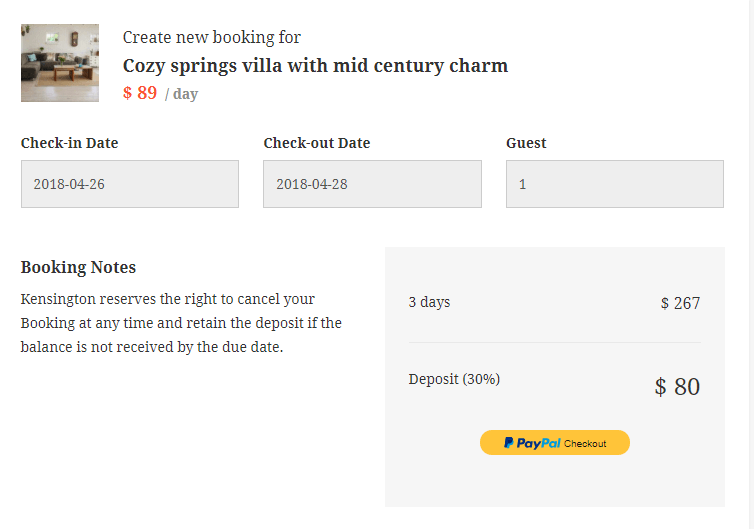 However, this feature will work only if you activate booking platform. By using online payment feature, users can make a payment (most common is deposit) for the property they rent. If you want to find a good property that suits your need, you must collect many properties and compare them. 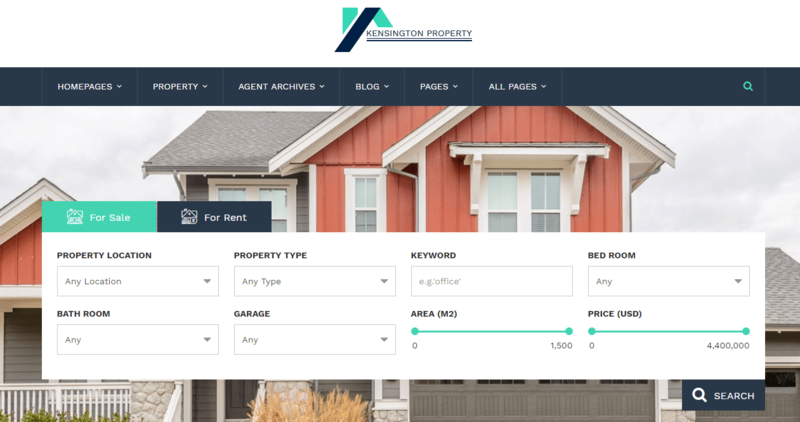 By using Kensington, you can compare your chosen properties in an easy way. 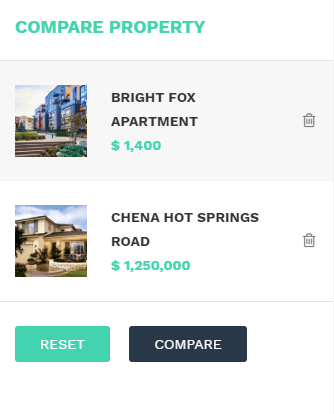 Your choosen properties will be displayed side by side so you can compare in every detail apple to apple.